Red Dragon holiday cottages are situated in the heart of the beautiful Snowdonia national park, approximately 2 miles from the award winning village of Beddgelert and just 300m from the start of The Watkin Path to the top of Snowdon. 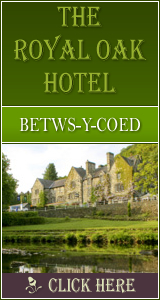 Set within 4.5 acres of privately owned mountainside woodland, our self-catering accommodation is the ideal base from which to explore Snowdonia with its spectacular scenery and fascinating mix of mountains, lakes, woodland and streams. A short drive away you will find beautiful sandy beaches, golf courses and plenty of local attractions including Welsh Highland Railway, Caernarfon Castle and Zipworld, to name a few. Beddgelert is undoubtedly Snowdonia's loveliest mountain village, with a variety of shops, restaurants and pubs. There are 4 cottages on site sleeping between 2 and 10 people and these can all be booked together for larger groups; the cottages can sleeps a maximum of 25 people if all 4 cottages are booked. Open all year – short breaks available. Dog friendly, £5 per dog per short break or £10 per dog per week. Communal small kitchenette - will have toaster, combination microwave, sink and fridge. Community Courtyard – BBQ area, picnic benches and outdoor beanbags to relax on. The living/dining area has a fully fitted kitchen including electric cooker, fridge and kettle. It has a comfortable sofa, coffee table and freeview television for your enjoyment. There is a double bedroom with 2 further single mattresses in the loft space, which is accessed by ladder and has restricted headroom. The upstairs is only suitable for older children or adults. 1928 Click Throughs => �964 Since 13/May/2013 based on an example �0.50 cost of a click through from Google pay per click.